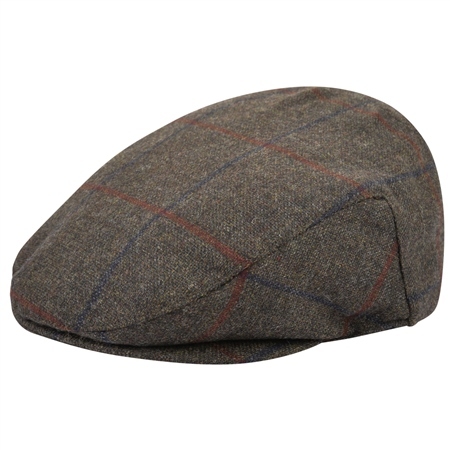 A classic and versatile Donegal Tweed Flat Cap. The fabric is a lightweight wool designed and woven in Donegal, Ireland. The cap features a dark green base crossed with a blue and red overcheck. Style with the matching Green Liffey Checked Donegal Classic Fit Jacket.